The Dalvay-by-the-Sea Hotel in the Prince Edward Island National Park of Canada is a large, two-and-a-half storey, asymmetrical building in the Queen Anne Revival style. A half-timbered and stucco structure on a cobblestone base, it features steeply pitched gable roofs, ornamented with dormers and tall chimneys, and a profusion of balconies, bay windows and an encircling verandah. Located on large flat and open grounds between the ocean and a soft water lake, the former residence dominates its surroundings. The designation is confined to the footprint of the building. The Dalvay-by-the-Sea Hotel is a Classified Federal Heritage Building because of its historical associations, and its architectural and environmental values. 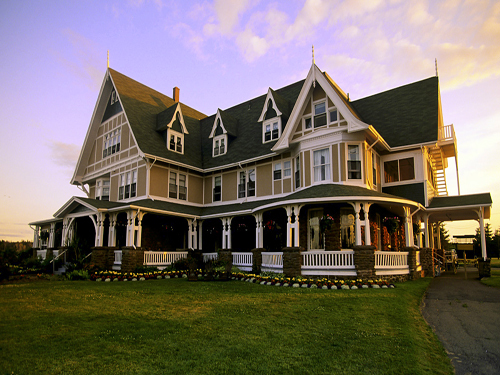 The Dalvay-by-the-Sea Hotel is one of the best examples of the opulent summer homes built in Canada by wealthy and prominent Americans at the turn of the century. It also illustrates the growth of the National Parks system, and the transformation of the island’s north shore from an agricultural to tourist vocation. Built for Alexander McDonald, president of Standard Oil of Kentucky and owned by his family until 1915, it changed hands several times before being converted to a summer hotel in 1932. 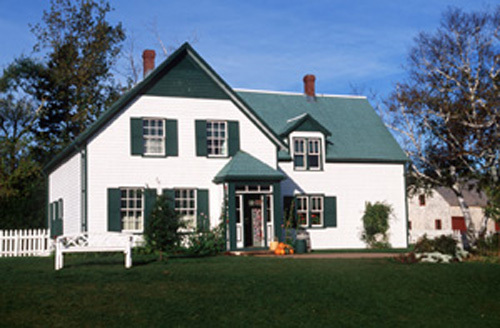 The building was acquired by the federal government in 1937, at the time of the establishment of Prince Edward Island National Park of Canada. The Dalvay-by-the-Sea Hotel is an excellent example of the Queen Anne Revival style, popular at the turn of the century and well suited for a vacation property, with features such as its large encircling verandah. Built in two phases, the building displays excellent craftsmanship and use of a variety of materials, some of them local, both on its exterior and interior. A generously proportioned residence intended for a numerous household and many guests, it has adapted well for use as a hotel. The Dalvay-by-the-Sea Hotel establishes the picturesque character of its seaside setting, and dominates the eastern end of Prince Edward Island National Park, by the prominence of its form in a flat, open landscape. Dalvay-by-the-Sea Hotel is a familiar landmark at the regional level, and has given its name to the neighbouring beach and east entrance of the national park. Sources: Margaret Coleman, Dalvay-by-the-Sea Hotel, Prince Edward Island National Park. Federal Heritage Buildings Review Office Report 88-034; Dalvay-by-the-Sea Hotel, Prince Edward Island. Heritage Character Statement 88-034. The character-defining elements of the Dalvay-by-the-Sea Hotel should be respected. -the historic partitions and finishes of the second and third floors. -the building’s function as a summer hotel along the sandy beaches of Prince Edward Island National Park of Canada.